Celebrating the release of the Madden '13 video game and Calvin Johnson as this year's cover athlete, EA Sports teams up with Nike for another commemorative shoe from the training range. This year's shoe is the Lunar TR1, seen here in a sharp blue and grey colorway to represent Megatron's Detroit Lions. 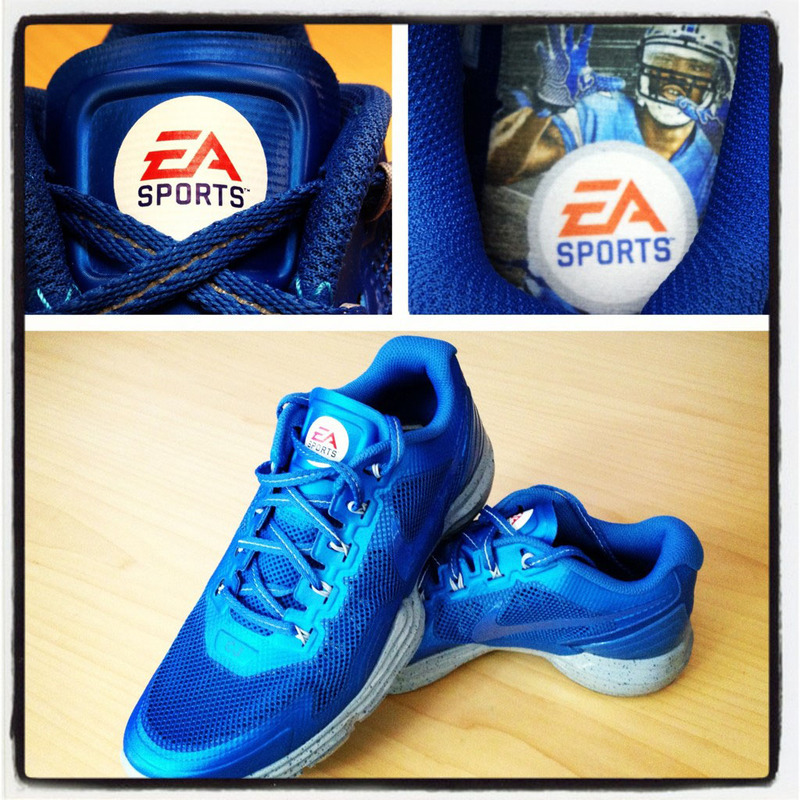 Features include EA Sports logos on the tongues, Calvin's game cover on the insoles, speckled Lunarlon soles and Megatron graphics on the heels. According to EA VP of Brand Marketing Chris Erb, the "Megatron" Lunar TR1 will be available exclusively through giveaways. You can check out details for "Chasing Calvin" over at Facebook.com/USNikeFootball.